SAPPHIRE/ WHITE HULL, ANTHRACITE INTERIOR, SEA DECK FLOORING, WET SOUNDS STEREO, WINDLASS, BOW FILLER CUSHIONS, DOCKING LIGHTS, BOW AND COCKPIT COVERS, COCKPIT TABLE, 15" FLATSCREEN TV/DVD PLAYER WITH SPORT ARCH! 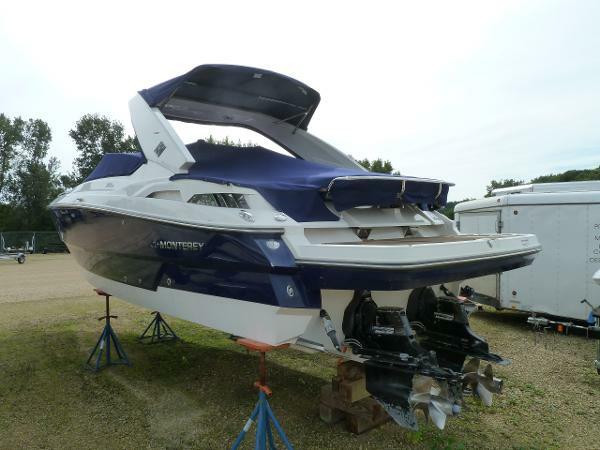 Very Nice Monterey 328 SS with Twin MerCruiser 350 MAGS, Bravo 3 Drives with Digital Throttle/Shift! 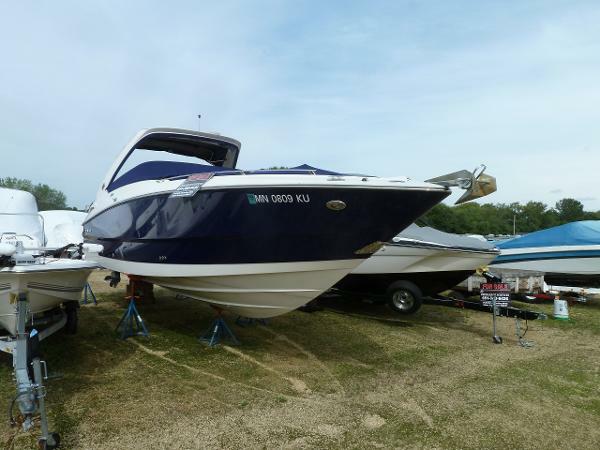 This boat has a creative Blend of Bold Styling and innovative Design, she incorporates all the features of a BIG Open Bow with the versatility of a small cabin with Sleeping berth and a Private Head making overnight stays possible! 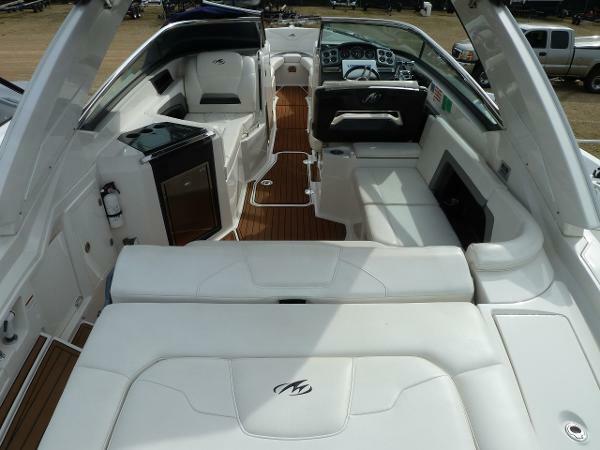 This boat is sure to impress from the moment you step aboard, the Large Cockpit and Seating arrangement makes this boat accommodating for large groups of family and friends! The Large Open Bow is very deep and has flip down arm rest and nice grab handles. The stylish Sport Arch is sure to catch your eye and the small details and clever items through out the boat will surly impress. Please call or e-mail with any questions or to set up a time to view!